Afternoon Tea is that moment in time when intimate friends gather to enjoy special foods, sip unique teas, and share their lives. 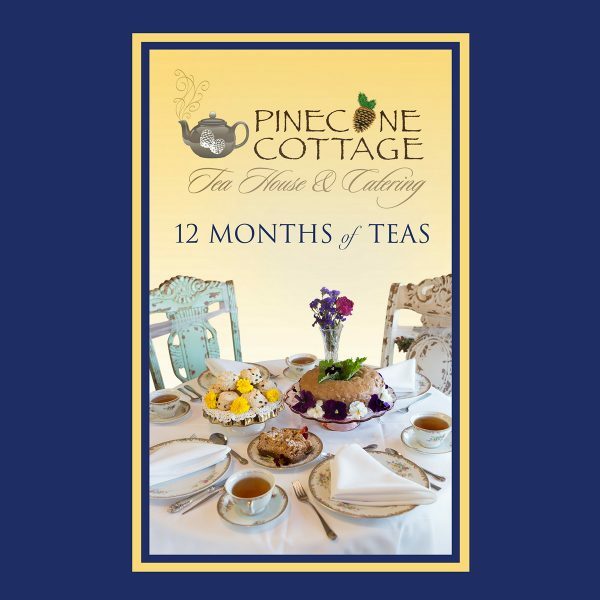 Chef Pamela Geralds’ long awaited cookbook, 12 Months of Teas, recreates the Pinecone Cottage Tea House & Catering experience in your own home. Chef Pamela describes her cooking style as old world Polish with dashes of fresh herbs, edible flowers and tea – all inspired by and infused with ideas from the places she has traveled. In this lovely cookbook you will find every recipe needed to create 12 Months of Afternoon Teas. Each month is built around a specific theme using seasonal ingredients, PineScones, Pound Cake, Butter Pie Crust, Chocolate Mint Cookies, Soups, and Savories are just a few of the delicious recipes you’ll find, and many with a special Polish flair. Its pages are filled with beauty, seasonality, and delicious, fresh food to share with the people you love.